Liquids mixing processes are extensively relates to human life. For example we could meet these processes in the laboratory chaotic advection researches, in oil processing branches, chemical, industrial and even in the food industry. Passing speed, quality of a compound and expense of energy are undoubtedly one of defining factors in developing process of compounding system. Despite that engineers spent huge time on development of the modern blending systems, still there are manufacturer plants compare for quality and homogeneity of a ready compound without the long foliation in all volumes and minimum electrical expenses. As all liquid components after all have distinction of property on density, salinity, viscosity and color. The main objective of mixing process consists in reaching simple distribution of components in a principal component. When liquid with high intensity gets to processing by ultrasound, sound waves extend in liquid and lead to formation of high pressure cycles which called compression and low pressure which called discharge with a speed depending on frequency. In the discharge period high-intensity ultrasound waves create small volume bubbles or spaces in liquid. Bubbles grow to the sizes that they can’t absorb energy any more, they expose during a compression. This phenomenon calls cavitation. Flow of liquid which passing “USB” system gets to the cavitation zone. Frequency of pulses is caused by properties of “USB” systems and it is located in the range from 400 to 35 000 Hz. All flow of liquid passes through a zone of highly effective cavitation. In the process of cavitational bubbles explosition for very short time (less than 1 microsecond) pressure more than 1000 atm develops. Due to big stability of operating frequencies, high homogeneity of a ready-made product is reached. 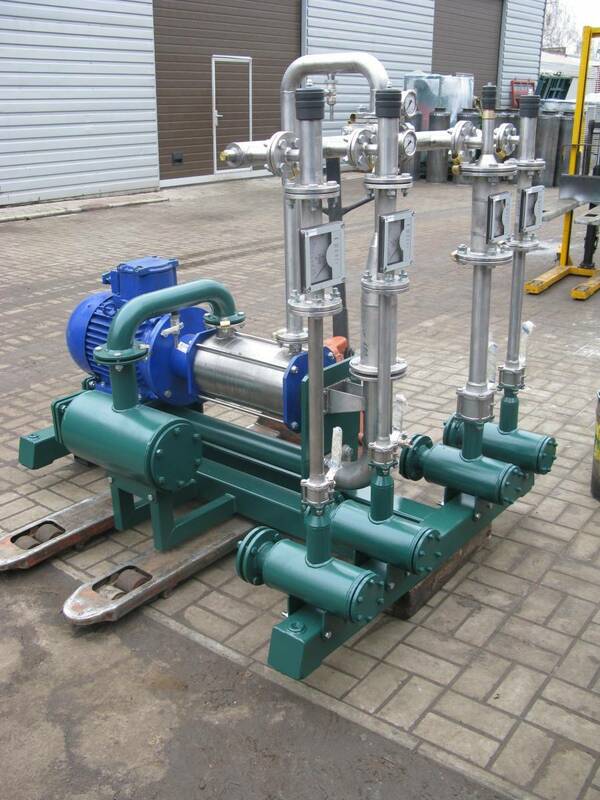 Blending system “USB” is constructed and selected for support of the minimum pressure differential and maximum reliability. “USB” systems which manufactared by Globecore company are equipped with the controler with unique self-training algorithm which instantaneous reacts to changes of process conditions or quality of raw materials. Components are continuously dosed, and their ratio is permanently regulates during product production to provide optimum quality and minimum loss. If you want to reduce expenses of you company for mixes production, “USB” cavitation blending system could help you to do that. To receive extra information contact us and technical manager will call you back or download inquiry list and receive free catalog.